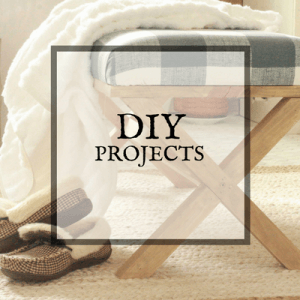 You are here: Home / DIY / DIY Butcher Block Countertop from Old Trashed Lumber! 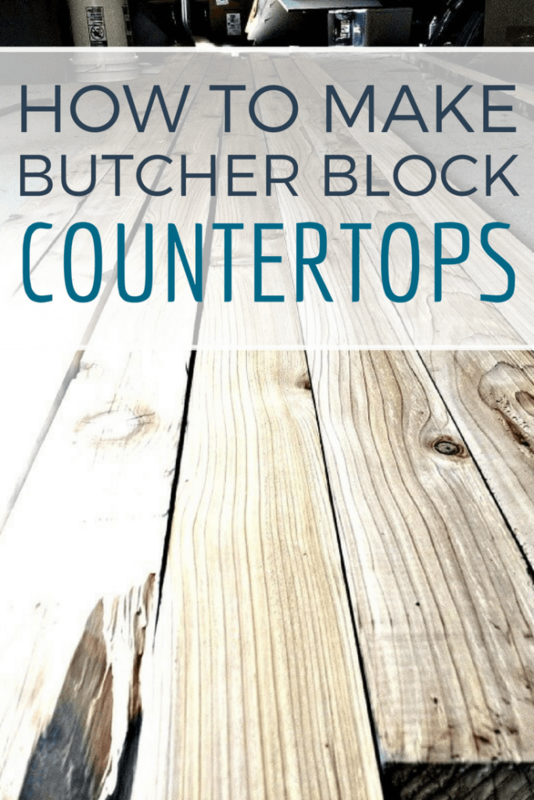 DIY Butcher Block Countertop from Old Trashed Lumber! As of today we are still waiting on our floor tile and some other items that we need for the design. I keep telling myself that this will all work out. I am hopeful to have my floor tile by this weekend so that we can pull this baby together. This week was full of projects that were not dependent on having the floor tile in. Our main project on Saturday was working on creating our reclaimed wood butcher block countertops. This is definitely a high for me. 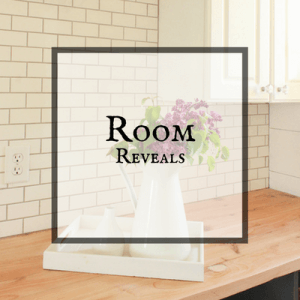 Originally, our laundry room had laminate counter tops, and they were great functionally but they left a lot to be desired in the style area. I have been wanting to add wood counters to some part of my home for a long time. The warmth, and depth that butcher block counter tops give cannot be denied. They are gorgeous and add so much character. 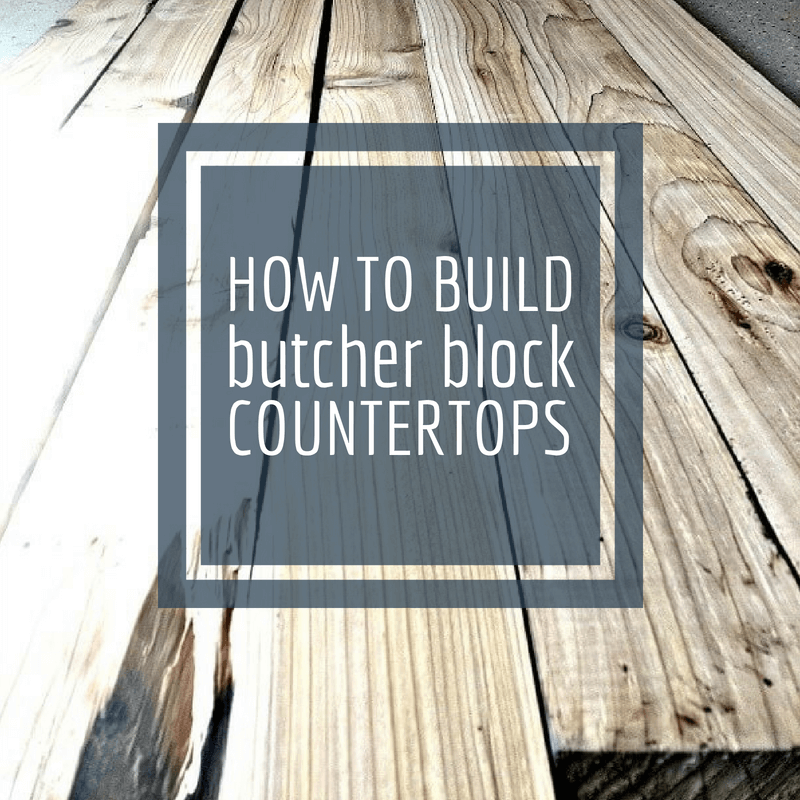 So lets get to it and see howto make butcher block countertops. If you are looking for a great work surface, I would say that a wood butcher block countertop is the way to go. Look how often it is used to make cutting boards, and used in kitchen islands. It was always a dream to have a wood countertop in my home and I was excited to make some for my laundry room. In addition, I had a strong desire to use reclaimed wood for the counter and its is coming together nicely. 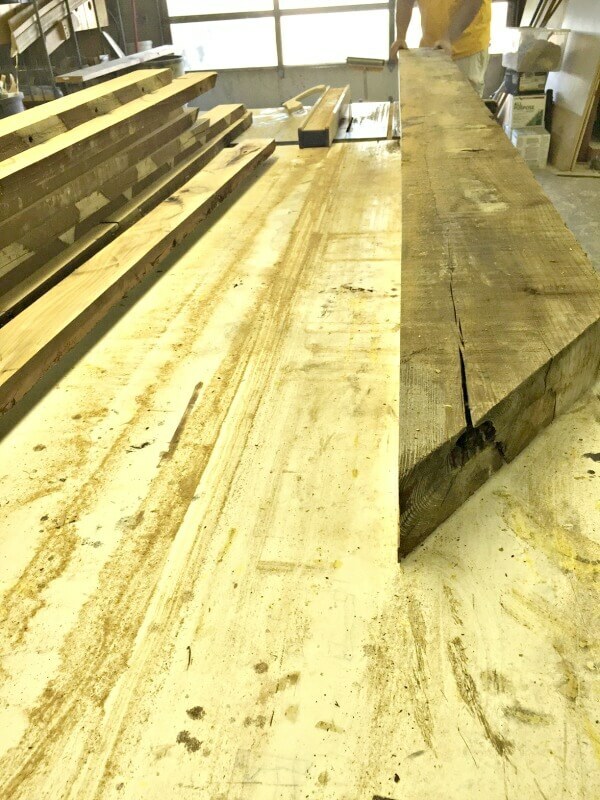 We came across some pretty massive old beams that had been used for railings on a hotel. They have been sitting out for a number of years, discarded and unloved. Did I mention they were almost 20 feet long? Imagine little old me assisting my rather large husband in carrying these around. I like to think I held my own. Since we have access to tools that made this project possible, we snatched them up and began tedious process of making this ugly and unloved wood beautiful again. I have been dreaming of wood counters and I would soon get them! Now, don’t let me fool you…this was difficult work at first, mainly because the beams were so large, we had to try to handle them with the 2 of us. 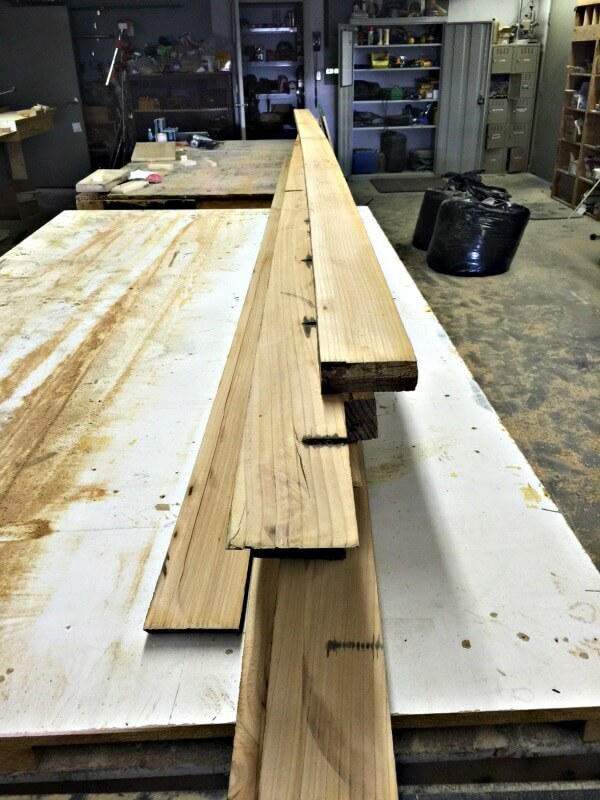 We began by cutting the beams into 2 inch wide slices. 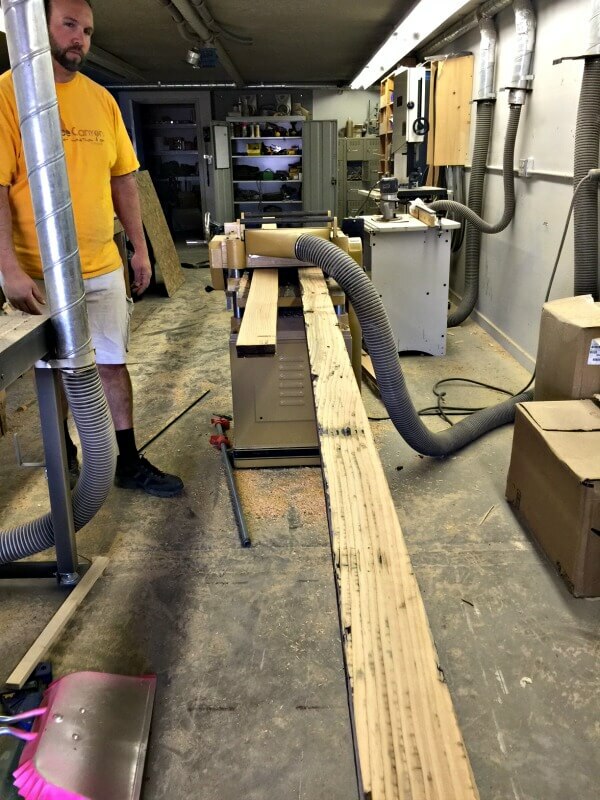 We had to go slowly, because the wood beams were just about at the max height that the table saw could cut. I wanted our wood counters to have a bit wider design to them, where the wood pieces are larger. We were able to get about 8 slices out of each beam. 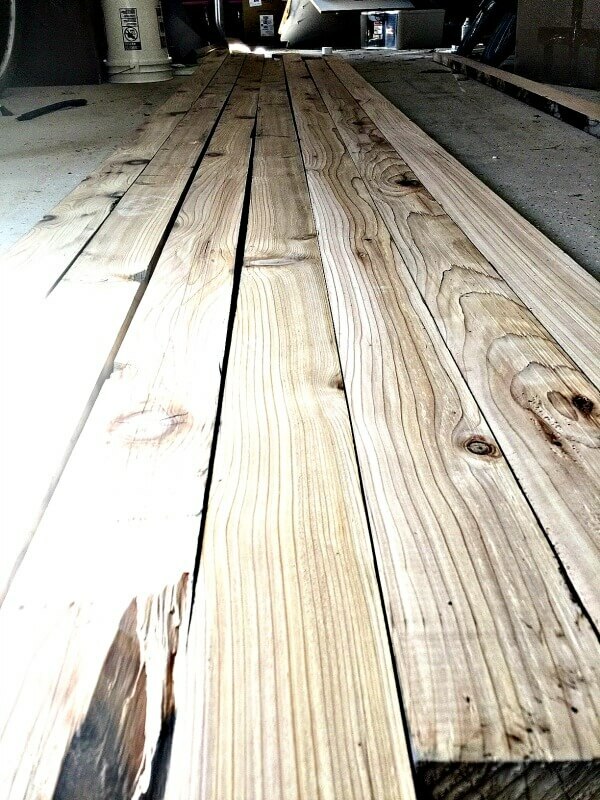 This wood was going to make amazing butcher block counter tops. It may not look like it yet, but I promise, there is potential there. Once we had them all cut, we sent them through the planer to smooth them all out and make them all the same exact width. Because we used the table saw to cut the beams down, there was a lot of rough saw blades as we finagled the beam through the saw. That is why we planed them down after. The next step was to cut the edges off each board so that they were all square and would sit nicely next to each other in preparation for gluing and clamping. We wanted to make sure that when we started gluing that there would not be any weird gaps or spaces. Look that that wood, isn’t it amazing? There was still a lot of “character” in the wood planks, such as knots, bolt holes, and others. We decided to keep them, since they were apart of this woods story. I love seeing the history of the wood come out in the design. Once we had all the wood cut, we laid it out the the width we wanted it. We wanted them to be the standard countertop depth, which is 24 inches deep. We added glue to the sides of each piece of wood, using a paint brush to brush it on evenly to cover the whole side of the wood and secured them to each other. Using the paint brush makes the application less messy, and you will have less glue to wipe off after clamping them together. After they were all glued together, we used metal and plastic clamps to hold the wood together for at least 24 hours. This gave the glue a chance to cure and set properly. Be sure to wipe the excess glue off the wood. This will make sanding and smoothing out the wood much easier. Now, this is where the hard work comes in. I used a belt sander to do this. Using a rough grit sandpaper…I used a 60 grit, I began sanding the wooden countertops, going with the grain of the wood. You do not want to go against the wood grain, since this will cause gouges and roughen the wood up instead of smoothing it down. You want to use the rougher sandpaper first so that it will get excess glue and the roughest edge off the wood. Once you have gone over the whole countertop, making sure that you are keeping the sander level, you can move on to a less rough sandpaper, like an 80 grit. You will repeat this process until the wood becomes more smooth. Occasionally, you will want to change out the grit of your sandpaper getting more fine as you go. You will want to use a fine grit sandpaper last, so that it will give it a soft smooth finish to the butcher block countertops. Once you have the wood countertops to the finish you want them, you can seal them with a food grade mineral oil. I would wait to oil them until you have installed them. We installed these countertops in our laundry room in our laundry room folding station. We installed these by adding glue to the tops of the base cabinets. You can see the full tutorial of that here. Building these solid wood butcher block counter tops was a pretty big job. But, it is something I think that anyone can do, especially if you are not afraid to take a risk and just try. We have loved these wood counters and I cannot wait to build some for my kitchen island. Wood counters instantly warm up a space and in a kitchen or laundry room, this is practically essential in my opinion. Now, this countetop build was part of a big renovation…and below you can see just how much more we had to go. WANT TO SEE WHAT ELSE WE HAVE BEEN UP TO ? 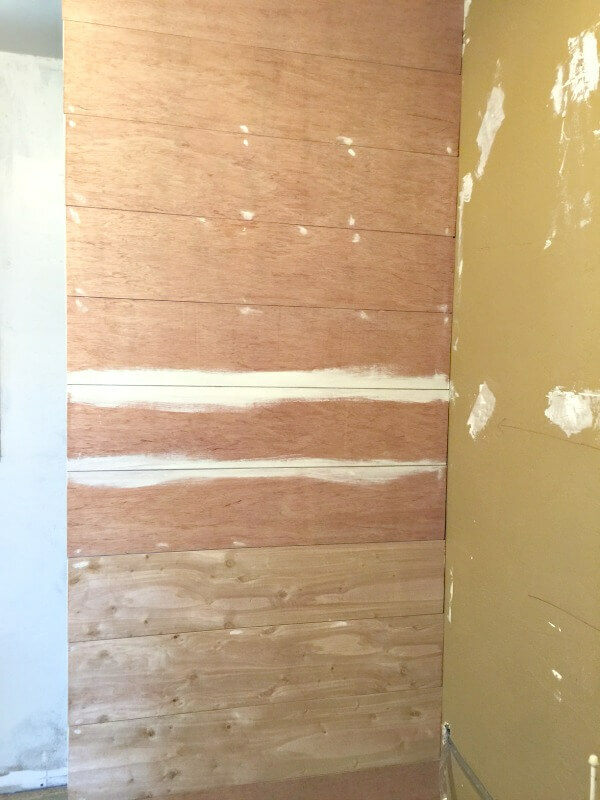 Shiplap was a big part of the remodel, and were able to install the shiplap on the walls where we were not tiling. It was installed and painted along with the painting of the window trim. We have also been working on our open shelving that will go above the farmhouse sink. We are making them the same as the ones we have made for our dining room. You can see those here. Consequently, we found that our laundry room floor was slightly uneven and because of this when we had a leak of any kind, instead of draining in to the floor drain, it ran under the washer and dryer, which resulted in a tiny amount of mold. We were able to get that taken care of but ended up spending a night using self leveling concrete to level up the floor so that we no longer have that problem. Demo- take out cabinets, flooring and trim off the window. Replace old cabinet hardware with new. All in all I think it is starting to come together. We still have plenty to do and we definitely plan on getting it all done. Failure is not a word I understand. Hopefully next week I will have some really exciting things to show! Like some tile floor! 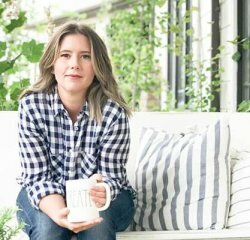 I love the shiplap. It is looking so good! This is going to be incredible! I can’t believe you are doing each and every board. Your effort will be so rewarding though. I can’t wait to see how this turns out. The butcher block counter tops are going to be amazing! Can’t wait to see them! Looking good! 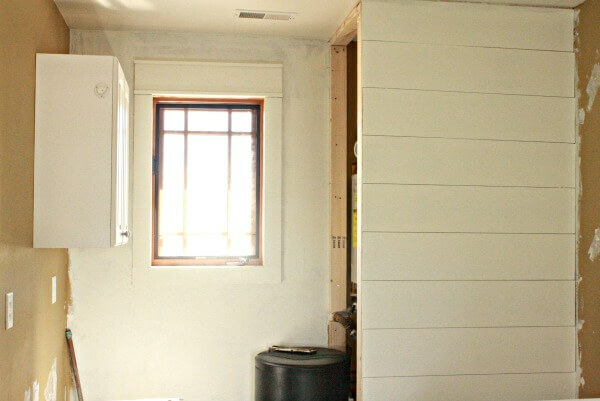 It doesn’t look like you used real shiplap. Is that ripped down plywood? This is going to look so good! Seriously, can’t wait to see. I can’t believe we are half-way there. I’m getting nervous! Your counter top is going to look awesome! That wood is beautiful and what an awesome find! I love that it has a story of its own. 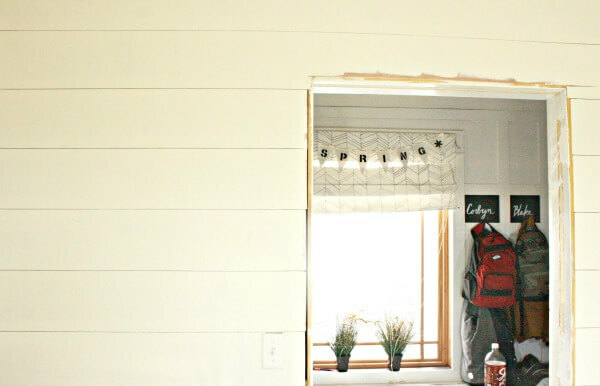 Your shiplap wall looks great! 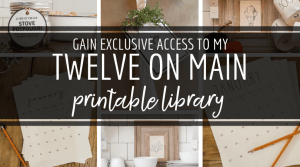 I am going to have to add it to my Pinterest board once you post the finished pictures! Thanks Jaclyn! 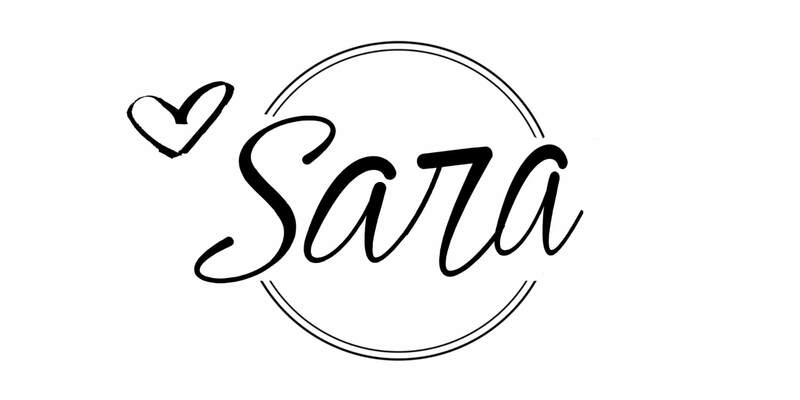 It is all slowly coming together and I cannot wait to reveal the final product! Thanks for stopping by! Your space is coming together beautifully. We too had challenges this week…guess that’s why it’s called a challenge LOL. 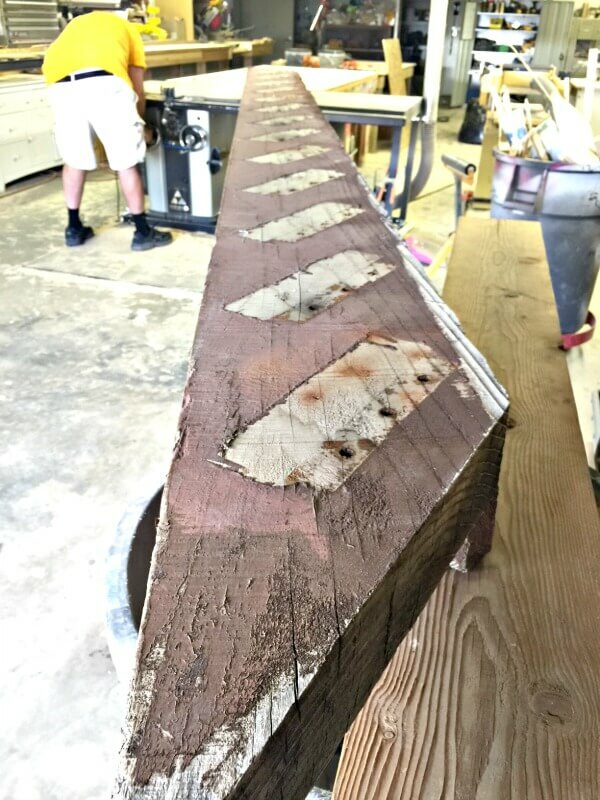 We love how you salvaged the wood to create your countertops. This space is going to be beautiful! Good luck with the tile shipment. Cheers to a great week! oh my! This is getting good. Girl, this is a labor of love! I cannot wait to see the final reveal.